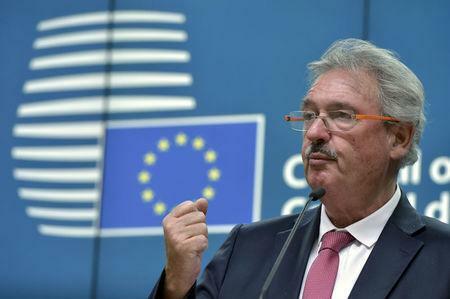 BERLIN (Reuters) - It would not hurt Europe if Britain was allowed to remain in the European Union customs union and internal market beyond an agreed transitional arrangement, Luxembourg Foreign Minister Jean Asselborn said. "What can be extended with no major problem is the Jan. 1, 2020 date for the transition period. If a year is added to that it won't hurt Europe, I hope not Britain as well," Asselborn told German broadcaster Deutschlandfunk on Wednesday.